Crown, a global leader in consumer packaging, has relied on Pneumofore vacuum pumps since 2006 for the production of tinplate cans in their plant in South Spain. The aluminium cans are used for food preservation, mainly canned fruits, vegetables, fish and meat products. 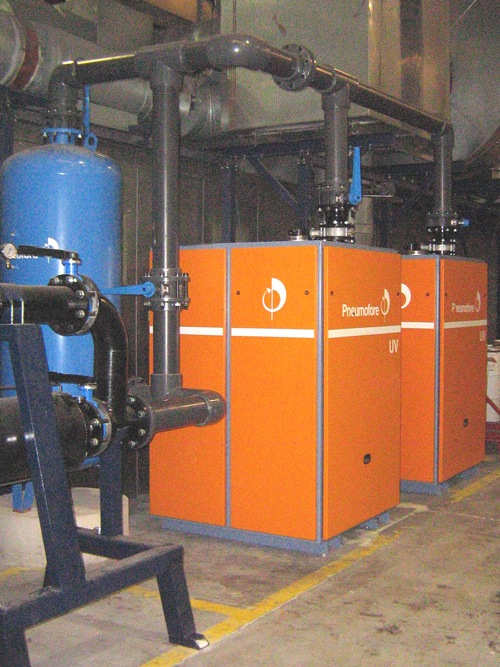 The customer installed the UV Series vacuum pumps in order to improve the production process and the quality of the cans. Vacuum is used in many can production processes, including the picking of metal sheets prior to the food grade painting which is a key part of the production process. Crown contacted Pneumofore to solve several problems in the process line of their metal can production. The major issues were the maintenance costs of the former vacuum installation and the high metal sheet rejection rates which caused significant production shut down occurrences. Under the old system, the company was using a total of 8 vacuum pumps – one for each painting line. These vacuum pumps had a huge oil carry-over from the exhaust, with consequently deleterious oil presence on the metal sheet surfaces. This caused bubbled painting and high rejection rates of cans, discarded by the Quality Check. 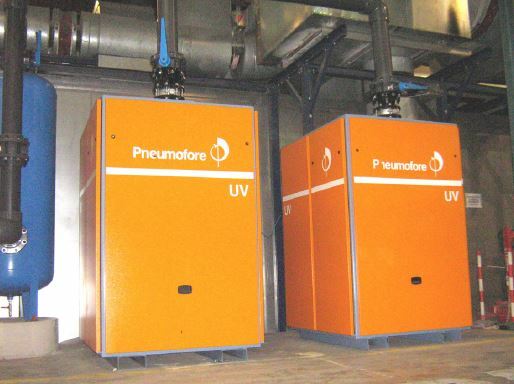 Pneumofore analysed the vacuum needs of the plant and proposed a centralized vacuum solution made of two UV16 air-cooled Rotary Vane vacuum pumps with 22 kW for 971 m3/h at 50 Hz. 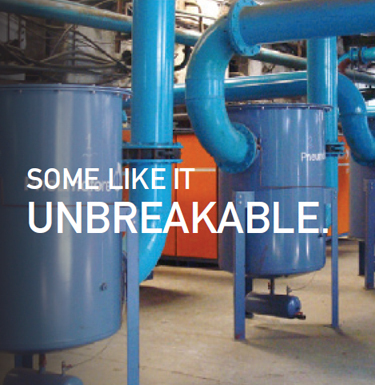 The Pneumofore solution demonstrated immediate advantages. The centralization of the vacuum supply permitted the placement of the units outside of the painting rooms. With no oil carry-over from the exhaust, painting was not disturbed and the rejection rates were eliminated, with great satisfaction of the Quality Check. 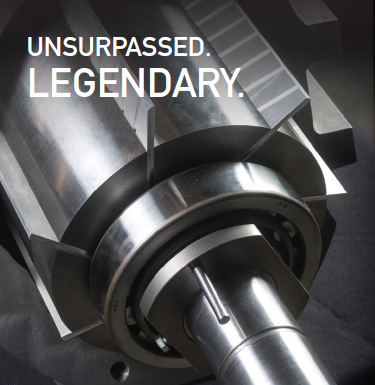 The maintenance needs were reduced to only one ordinary operation every 4.000 operational hours of the vacuum pumps. As the two units work alternatively, only one maintenance operation per year is required. 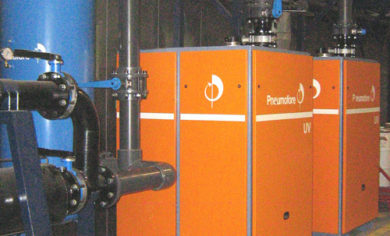 This operation lasts three hours only and it is performed by a customer’s technician, trained directly by Pneumofore. Other additional benefits are the silent operation by only 69 dB(a) whereas the former installed pumps had an annoying noise coming from worn-out vacuum pump vanes. 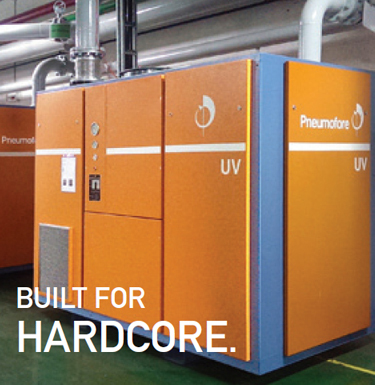 Pneumofore is currently supplying other Crown plants in Spain and it is a preferred vacuum solutions provider for Crown Holdings in Europe as well as North and Latin America.